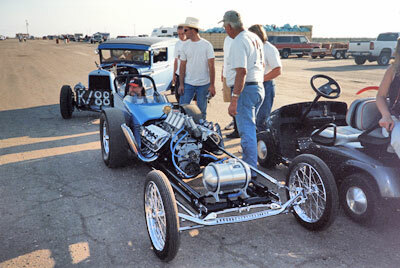 Here's a little background on Don & Claire Westhaver's K-88, named The Flying Fenn. 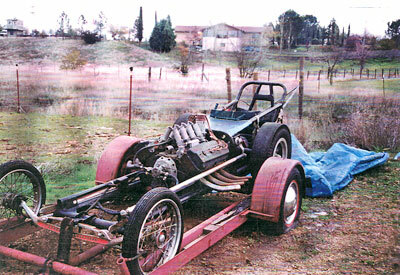 They found the car in 2000 in Vacaville, CA. 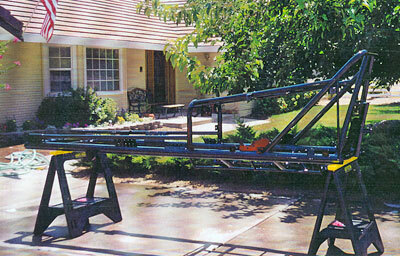 It was in a garage under a tarp where it had been for about 30 years, still on the original handmade trailer. 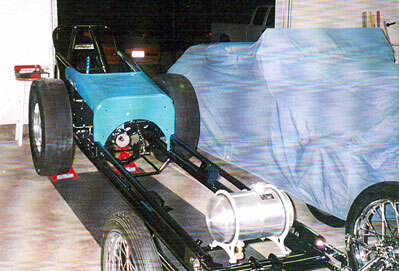 To this point they have been unsuccessful in finding the racing history of the car but the fact its a real-deal K-88 says there is a history out there to find. 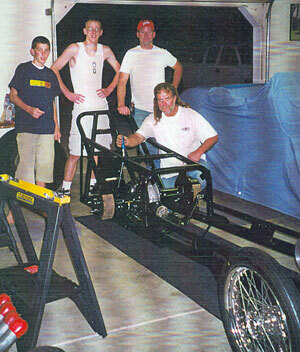 They began the car/trailer restoration project at home in early 2002. They literally finished it about one hour before the 2003 Cacklefest began. This is how the car was found. 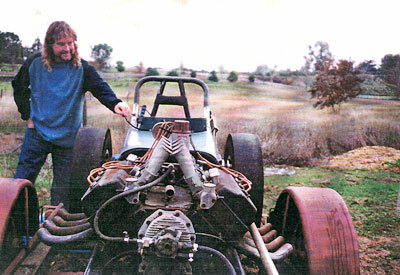 The engine, like the car was in pretty good shape after sitting for 30 some years. 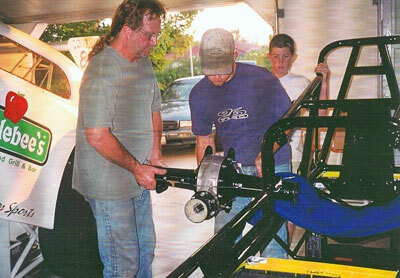 As the restoration was in progress they learned a lot as they went along. 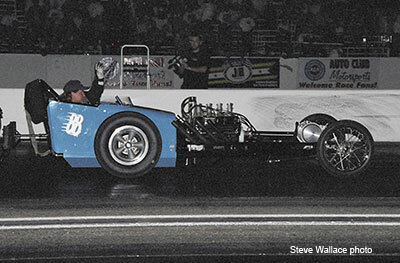 As far as they can tell, this car was the oldest car in Cacklefest III - dating it back to 1955 or 56... at least that's what the officials at Bakersfield told them. 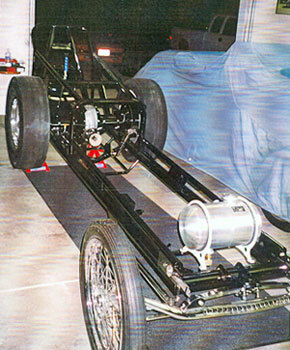 You can tell by the V-back chassis that it's one of the very earliest K-88's made by Scotty Fenn. 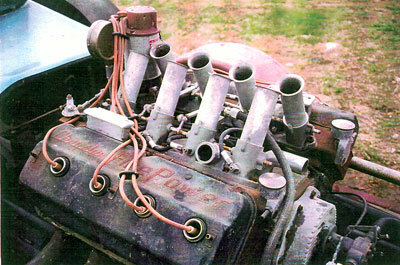 Along with restoring the car, they also rebuilt the original Hemi. 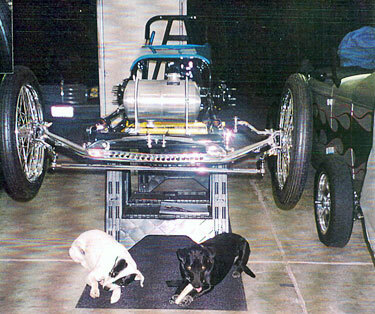 Chassis builder Pete Ogden was involved in the restoration - he re-crafted the body panels and did the zoomies. 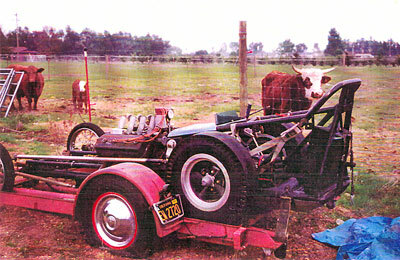 He recognized the steering box as one he built originally for Fenn. 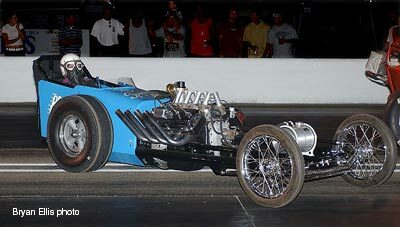 The Westhaver's were very pleased and proud to have Ogden as their team's guest at Cacklefest IV and to have Pete ride in the car for the parade lap. He was very excited to be there. 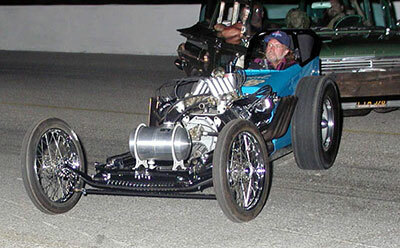 He would have driven it down in the Cacklefest but he'd had some recent surgery and couldn't push the clutch pedal in. 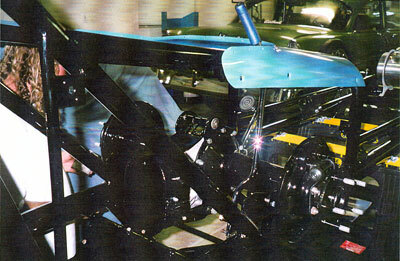 Car stripped and chassis repainted. 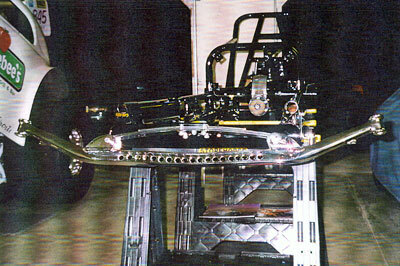 With all the parts and pieces freshened up and re-chromed the car was reassembled. 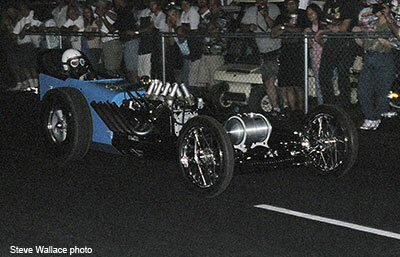 CHRR 2003 was a different story as the car performed flawlessly. 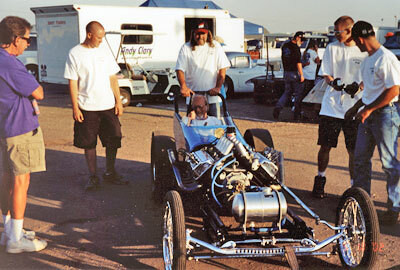 The car made its debut at the 2003 CHRR. 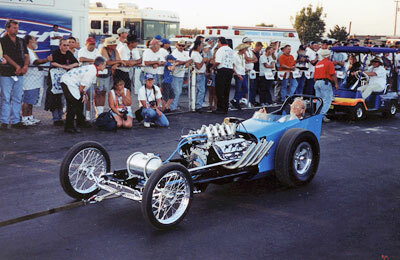 2003 Cacklefest Parade with Pete Ogden in the car. 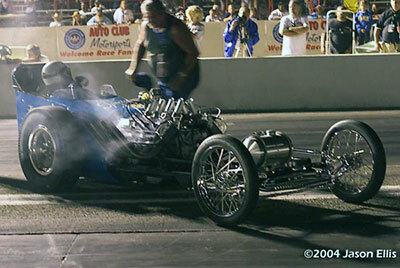 The Westhaver's didn't make the 2005 Cacklefest but they will be back in 2006.